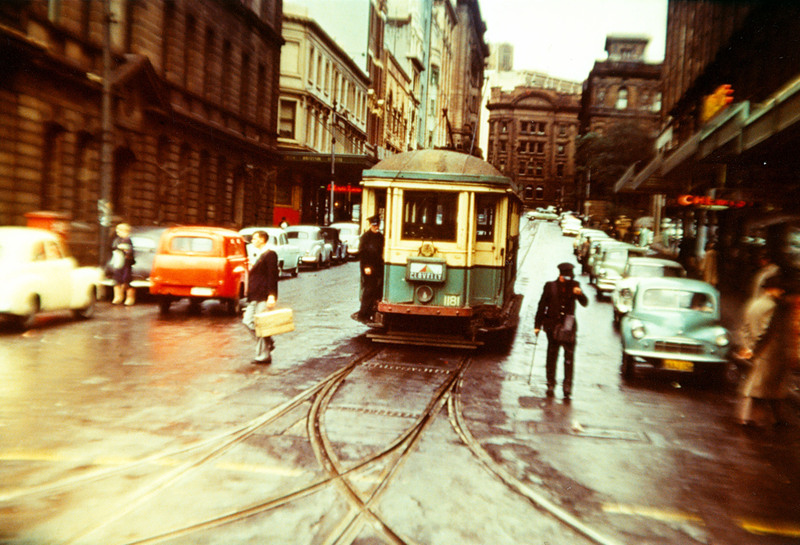 Pitt Street’s last tram ran in the early hours of 29 September 1957. Draped with black streamers and decked with bouquets of red carnations and poppies, the tram was cheered by hundreds of people. 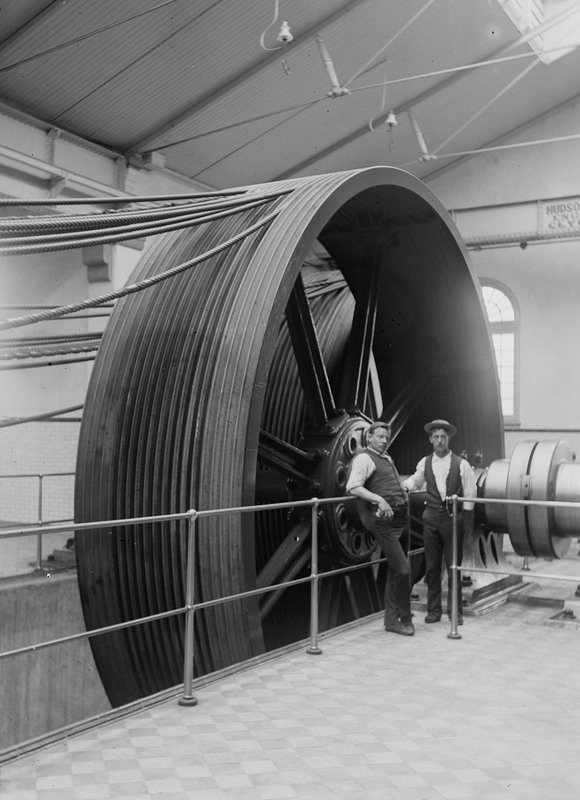 A few hours later linesmen began removing the overhead wires, terminating the service that was first established 96 years earlier. This was the beginning of the end for Sydney’s trams; within four years all tramlines were closed. 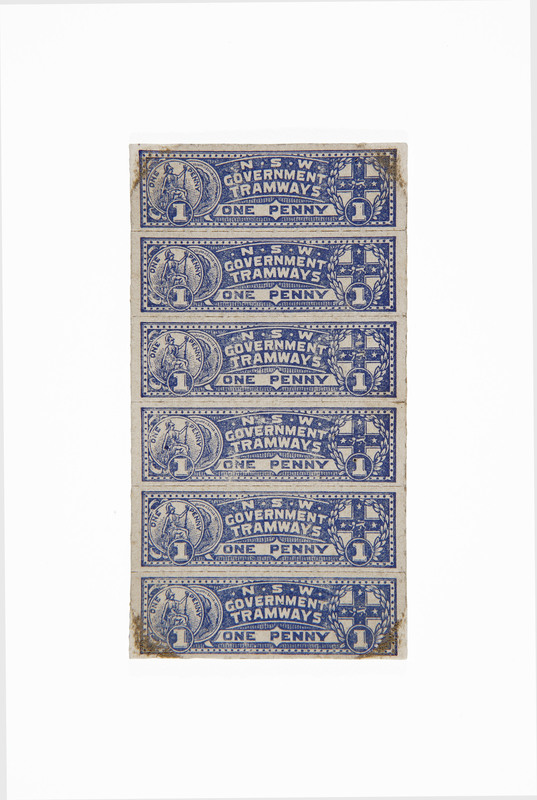 Sydney’s tramway system was, after London’s, the largest in the British Empire and was a central part of Sydney life for 100 years. The extensive network changed the character of Sydney’s streets, created many of its suburbs and helped it become a modern city. However, by the mid 20th century the tram had come to symbolise a bygone era, an embarrassing and sentimental anachronism in the age of speed and streamlined proficiency, and its demise seemed inevitable. Sydney’s first trams were introduced to Pitt Street in 1861. Horsedrawn trams provided an important link between the ferries and ships at Circular Quay and the main railway terminus, then located at Redfern. However, the era of horsedrawn trams was short lived. While the tramline was initially welcomed, especially by local retailers, critics soon argued that protruding tracks were dangerous and caused many road accidents. Criticism reached a peak in 1864 after the death of prominent Sydney musician and composer Isaac Nathan, who fell under the wheels of a moving tram. The Pitt Street line was closed two years later. The 1879 International Exhibition marked the return of trams to Sydney. Four steam motors and six double-decker cars were imported from the United States of America for use on the new tramway. Fittingly, steam-powered trams were the very embodiment of the innovative technology and city improvements promoted by the Exhibition. 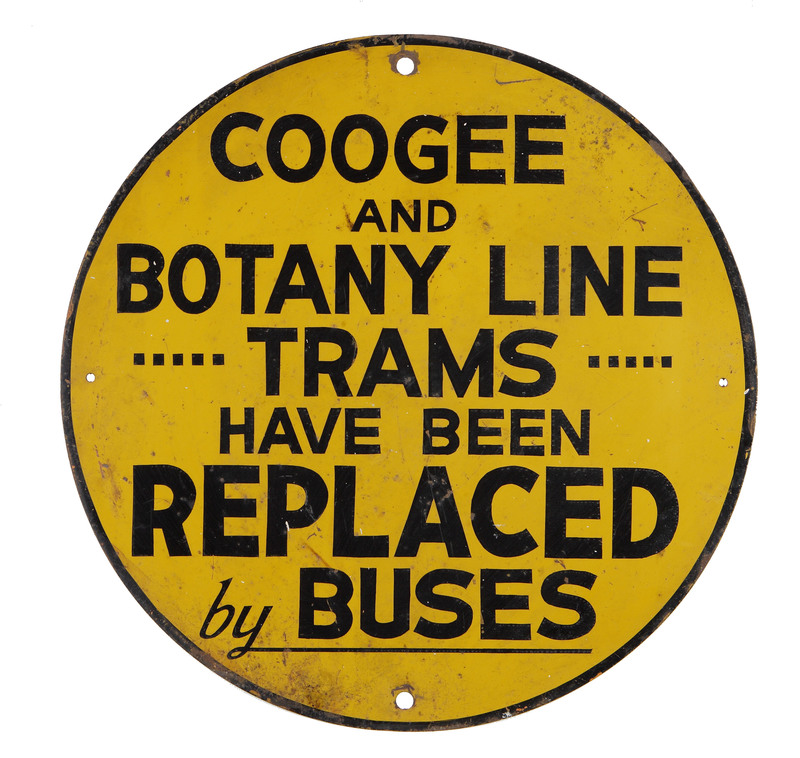 For the reasonable sum of twopence, trams transported passengers from Redfern Station along Elizabeth Street to the Exhibition, which was held in the Garden Palace (located in the Botanic Gardens). The service ran every 15 minutes and carried more than one million visitors. This new mode of public transport was reputedly one of the most memorable experiences for those attending the event. Although the tramline was initially built as a temporary measure, its ensuing popularity ensured that steam trams operated in the city until 1905. 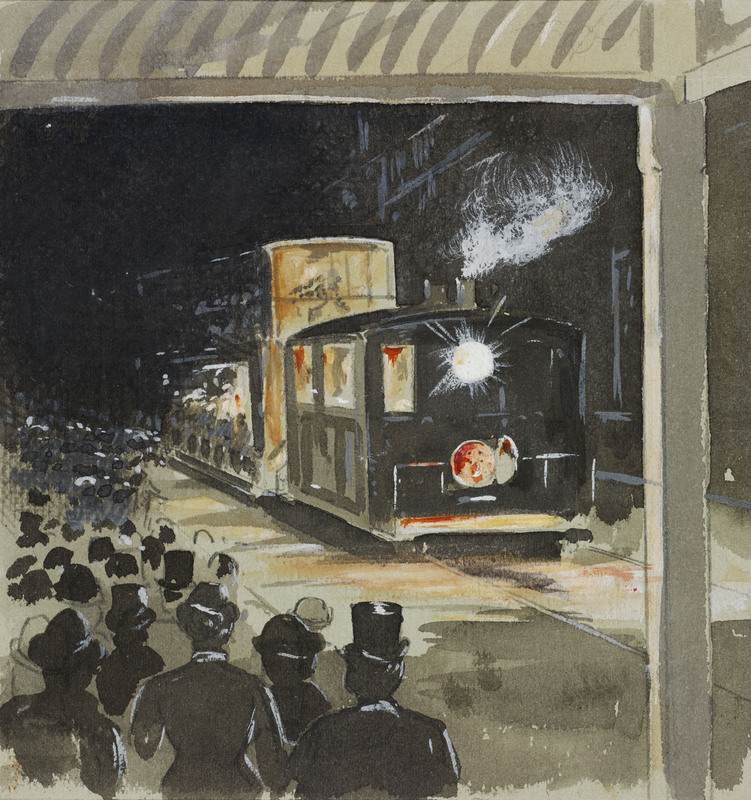 Indeed, the speedy Oxford Street route through Paddington was so popular that a colloquial term was coined: ‘Shooting through like a Bondi tram’. New technologies also brought about the development of cable-drawn trams. These were introduced on routes considered too steep for steam propulsion, such as the pull up from Milsons Point Wharf to Ridge Street in North Sydney. Another cable tramway ran up King Street, linking the city to Darlinghurst and Edgecliff. Although some outer suburban lines, such as Kogarah to Sans Souci, Parramatta to Castle Hill and Sutherland to Cronulla, continued to operate steam trams until their respective line closures, the most efficient and widely used power source for trams was electricity. 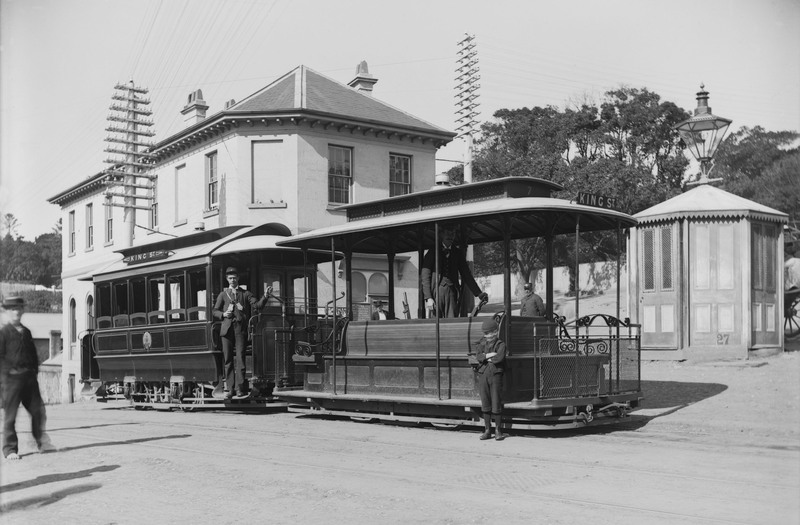 The city’s first electric trams operated along George Street in 1899. Within six months this service was carrying 70,000 passengers a day. By 1906 all steam trams within the city area had been replaced by 750 electric tramcars, which carried more than 130 million passengers in that year alone. Following worldwide trends, Sydney embarked on a project of extension and electrification of its tramways. New routes often preceded or promoted greater urban development, creating ‘tram suburbs’ in distant localities such as Abbotsford, Ryde and Narrabeen. Suburban life became accessible to many more city workers, who could now commute swiftly between home and work on trams that had right of way over other peak-hour traffic. By 1914 the fleet of electric tramcars had almost doubled, and passenger journeys had increased to 300 million per year. By 1922 the tramway network had reached its maximum size with some 290 kilometres of track extending to Watsons Bay, Bondi, La Perouse and the beach suburbs in the east; and Canterbury, Abbotsford and Ryde in the west. Isolated lines operated in North Sydney, Manly, Narrabeen, Parramatta, Enfield, Arncliffe, Rockdale, Kogarah and Sutherland. As the network expanded, leisure destinations became more accessible to the intrepid daytripper, including Balmoral, Manly, Watsons Bay, Bondi, Coogee, Sans Souci and the Hills District. Special events such as the Royal Easter Show and race day at Randwick Racecourse attracted thousands of patrons. With six platforms at Randwick, trams were able to clear crowds in 20 minutes, conveying racegoers to either Circular Quay or Central Railway Station. Tens of thousands of passengers were transported by tram on race day alone – an impressive feat. To ensure trams provided an efficient public transport service, up to 8000 people – mainly clerical staff, maintenance workers, conductors and drivers – were employed on the tramways at any one time. Men made up the vast majority of the workforce. However, faced with a shortage of male workers during World War II, the tramways actively recruited women to be conductors from 1942. 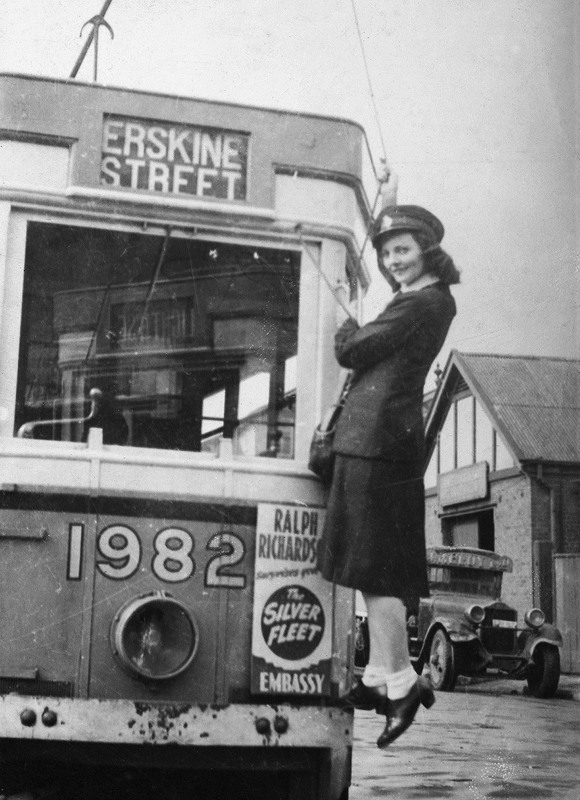 Female conductors enabled the tramways to continue to provide an effective public transport service during wartime. In 1939 Sydney trams carried nearly 300 million passengers per year, increasing to a maximum of almost 400 million by 1945. Despite the often difficult and adverse working conditions, a great tradition of camaraderie developed among tramway staff. Workers waiting to start their shift often socialised over a game of billiards, in the gymnasium or in the library, which were just some of the facilities on offer at each of the various Sydney depots. The camaraderie also extended to industrial disputes. The tram workforce was unionised, and industrial campaigns went beyond pay and leave to occupational health and safety issues. Collecting fares while balancing on the external footboard – in rain, hail or shine – meant that conductors were in constant danger of falling ill, falling off the footboard or being hit by passing traffic. Sudden braking could result in a dislocated shoulder or collarbone. 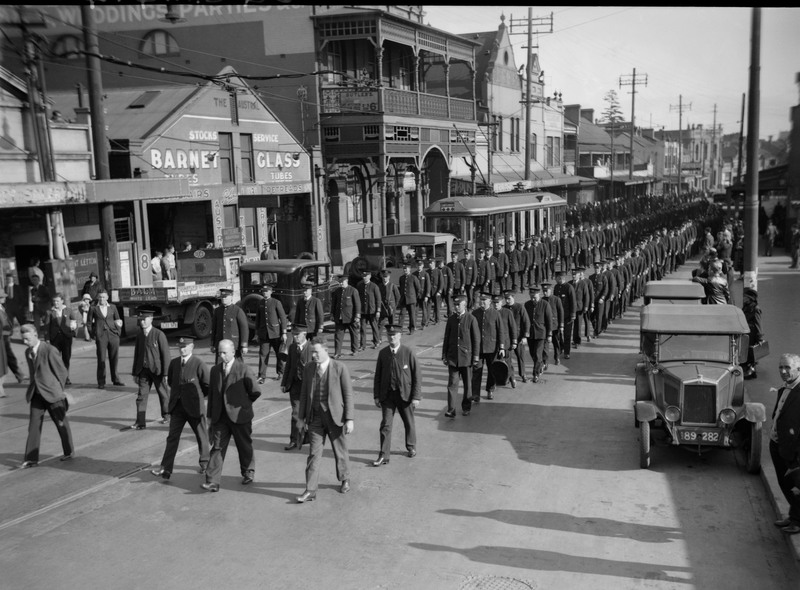 I’ve seen the NSW Government Tramway Band leading our dead mates that were killed … half a mile along Parramatta Road. [At] the old Mortuary at Regent Street we used to play Lead Kindly Light when the funeral train left the station. 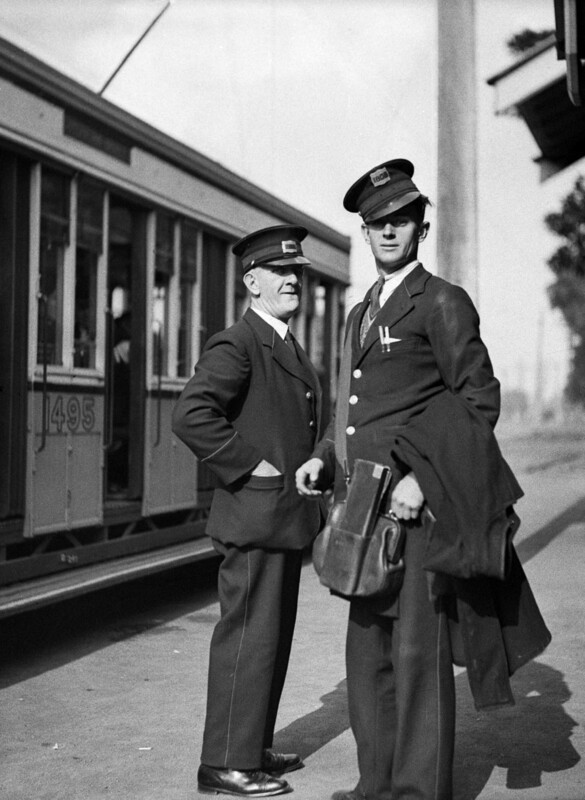 Conductors were exposed to interesting and, at times, eccentric tram commuters. Renowned for her streetside renditions of Shakespeare, Bea Miles was one of Sydney’s most colourful characters during the 1930s and 40s. Her expectation of free transport extended to the trams, and staff knew that there was no point asking her to pay the fare. 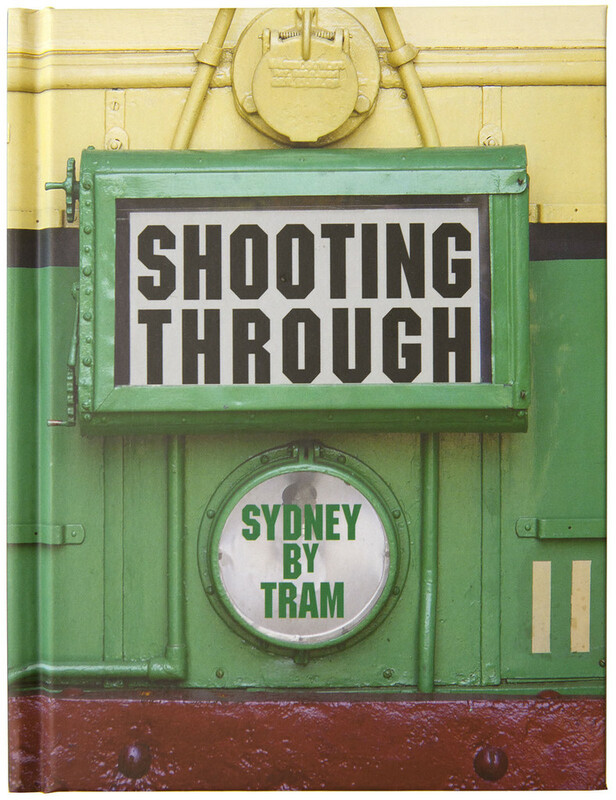 Sydney had a love-hate relationship with the trams. In the early years, detractors bemoaned the noisy and smelly steam trams and the danger they posed to other traffic, including horses. Electric trams also proved dangerous. Accidents involving workers, commuters and hapless pedestrians were frequent as trams fought for space on Sydney’s relatively narrow and congested thoroughfares. Where the specific terrain of Sydney’s hilly and harbour districts inspired a certain ingenuity and uniqueness of character in tramway design,  the rapid expansion of the network along roadways that were designed for much lighter traffic only exacerbated the hazards. Nevertheless, the capacity of the Sydney tramway network to move huge numbers of people reliably and efficiently is still to be envied. The heyday of Sydney’s iconic tramcars, affectionately known as toastracks, boneshakers, juggernauts and rattletraps, was not to last. By the mid 20th century trams and pedestrians shared the road with an increasing number of cars. Pedestrian-friendly streets created a vibrant urban life, but were at odds with the mass car ownership of the 1950s. This conflict transcended the frustrations of individual motorists; it was a central element of competing urban ideologies. Like city skyscrapers, a high-speed city organised around freeways and cars had become an international symbol of modernity and progress. The NSW Government accepted the car lobby’s argument that cars and buses would be faster, and the demise of the trams was set in motion. In 1953 the Minister for Transport, Mr W E Wetherell, announced that the government would no longer commission the building of trams, and that buses would replace all existing tram services. Tracks were removed or tarred over and overhead wires pulled down immediately after the termination of each tram route to nullify protests from communities affected by the changes. Predictably, the National Roads and Motorists’ Association (NRMA) enthusiastically endorsed the new policy and claimed that the removal of trams would bring about a major decrease in traffic congestion: ‘Buses the world over have proved themselves the most modern and efficient type of public transport, and have superseded trams in all important overseas cities’. While Sydneysiders from all suburbs objected to the termination of tram services, the NSW Transport Department was quick to claim that the flow of traffic had improved. However, the department made little comment about the declining levels of patronage on the new fleet of buses or the experience of patrons. Rather than having right of way in fixed transit lanes, new diesel buses had to navigate around cars and pedestrians. In November 1958 an indignant public transport patron wrote to a Sydney newspaper, ‘The only people who are never consulted, and still less considered, in the changeover from trams to buses are the people who use them’. While the NSW Government acted to remove tracks and trams from Sydney streets, Melbourne sought to expand its tramway system, and currently has the largest tramway network in the world. As Sydney began terminating tram routes, work was forging ahead in Melbourne on laying new track and setting up overhead lines for new tram routes, a decision influenced by the city’s impending role as host of the 1956 Olympics. Trams also replaced buses on several existing routes. Sydney’s last tram ran from Hunter Street in the city to La Perouse in 1961, ending 100 years of tram services. The next year saw the completion of Sydney’s first freeway, the Cahill Expressway, followed a few years later by the Warringah Freeway to the north of the Sydney Harbour Bridge. During the 1970s, however, the government’s freeway plans were stalled by funding problems and the opposition of inner-city residents to large-scale evictions and demolitions. From the 1980s an expansive network of toll-funded motorways and tunnels was constructed to the south-west, west and north-west of Sydney. ‘Motorway’ suburbs have now replaced ‘tram’ suburbs, with residents dependent on cars to travel to work and to retail and leisure places. The consequences in terms of congestion, air pollution, waste and urban malaise have seen public transport returned to centre stage as an essential government service. Increasing energy costs, sustainability and climate change have become mainstream political issues. During the 1980s and 90s the NSW Government reinvested in public transport in an attempt to reverse the sharp decline in patronage that began with the phasing out of the trams during the 1950s. While trains and buses remain the focus, trams do not lack proponents, especially within local government. Debates on the return of trams (or light rail) directly relate to the revitalisation of Sydney’s urban spaces, particularly the city centre. Here, trams offer the potential to ease congestion and pollution. They also promise a return to pedestrian-focused streets and public places. Sydney has already followed a trend of other world cities, such as Manchester and Strasbourg, by restoring light rail to the city between Central Station and Lilyfield. However, the government has ignored proposals to extend this modest tramway further into the Inner West along disused railways. As the debates for and against trams continue, one question remains. Where did all the old trams go that didn’t find a home in a museum or as a make-do shed on a rural property? Most of Sydney’s trams were stripped of their interiors. Colourful destination rolls were hastily removed from their boxes and cut into sections by souvenir hunters. Seats were sold for a pound, turning up in surprising locations like Bankstown beer gardens and Rose Bay convent grounds. The steel uprights beside the driver’s cabin were cut off and became poles that supported ‘No parking’ and ‘bus stop’ signs in the city, while tram doors containing maple and cedar sold for 5 shillings each. Divested of most salvageable items, trams were eventually taken to ‘burning hill’ at the Randwick tram workshops. There, Oswald ‘Mick’ Price, an ageing Gallipoli veteran and Sydney’s only professional tram burner, reduced Sydney’s fleet of trams to a pile of ash. Buses the world over have proved themselves the most modern and efficient type of public transport, and have superseded trams in all important overseas cities. Buses are far more mobile and get away from the rigid tracks. Buses will certainly speed up vehicular traffic and eliminate bottlenecks. The lifting of tram tracks will remove a constant source of danger to vehicular traffic both in wet weather when rails cause skids and when tracks are in a neglected state and develop potholes. Mr H E Richards, National Roads and Motorists’ Association (NRMA ), quoted in ‘No new trams for Sydney; gradual change to buses’, 10 November 1953, newspaper clippings scrapbook, Sydney Tramway Museum Archive. ‘End of the trams’, 29 September 1957, newspaper clippings scrapbook, Sydney Tramway Museum Archive. Register of Inquests and Inquiries, 1864, State Records NSW. Shirley Fitzgerald, ‘The Garden Palace and Sydney’s International Exhibition 1879’, in Lenore Coltheart (ed), Significant sites: history and public works in New South Wales, Hale & Iremonger, Sydney, 1989, p93. Ken McCarthy, ‘The tramways of Sydney’, in Don Fraser (ed), Sydney: from settlement to city: an engineering history of Sydney, Engineers Australia Pty Ltd, Sydney, 1989, pp261–62. Harry Batterham, conductor, interviewed by Richard Raxworthy, Australians at work: interviews with retired tram and bus workers from Sydney and Newcastle, 1982, tape 9, held at the Mitchell Library, State Library of New South Wales. Bill White, conductor, interviewed by Richard Raxworthy, Australians at work: interviews with retired tram and bus workers from Sydney and Newcastle, 1982, tape 10, held at the Mitchell Library, State Library of New South Wales. Such as the implementation of the cable tram system servicing the city to Edgecliff line and the counterweight operating on the Balmain line. Mr H E Richards, NRMA, quoted in ‘No new trams for Sydney; gradual change to buses’, 10 November 1953, newspaper clippings scrapbook, Sydney Tramway Museum Archive. Winifred M Harris of Waverley, November 1958, newspaper clippings scrapbook, Sydney Tramway Museum Archive. Anne Summers et al, The little green book, the facts on green bans, Tomato Press, Sydney, 1973. David Burke, ‘Sets trams on fire … and he gets paid for it’, Sydney Morning Herald, 7 September 1957. 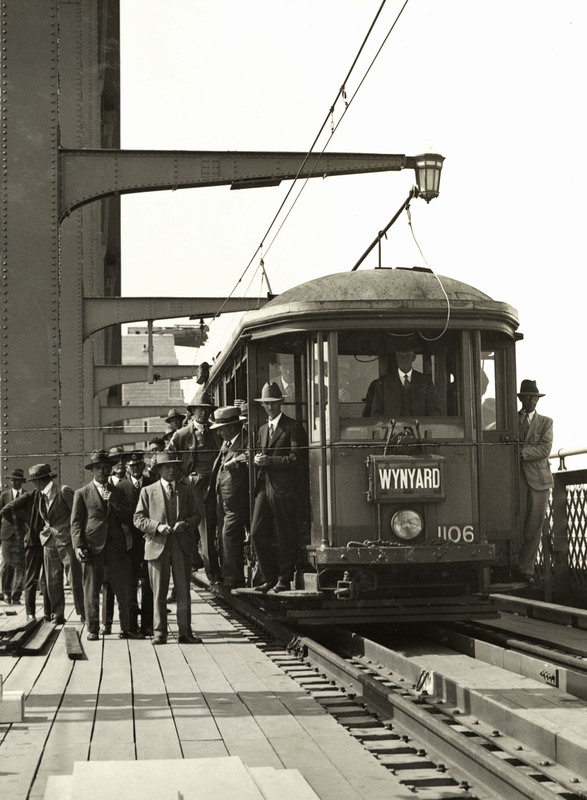 First tram to cross Harbour Bridge 1932. First tram to cross Harbour Bridge. Photographer unknown, 9 March 1932. 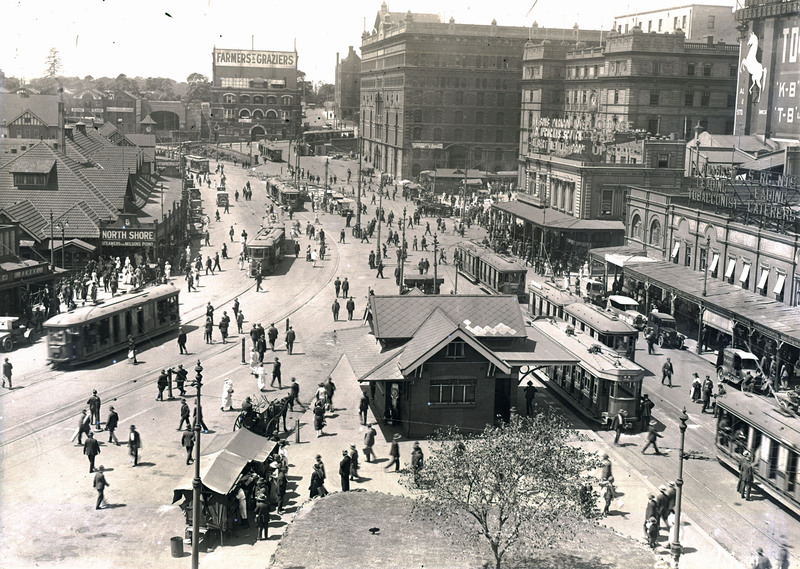 View of Circular Quay showing trams in operation, c 1926. 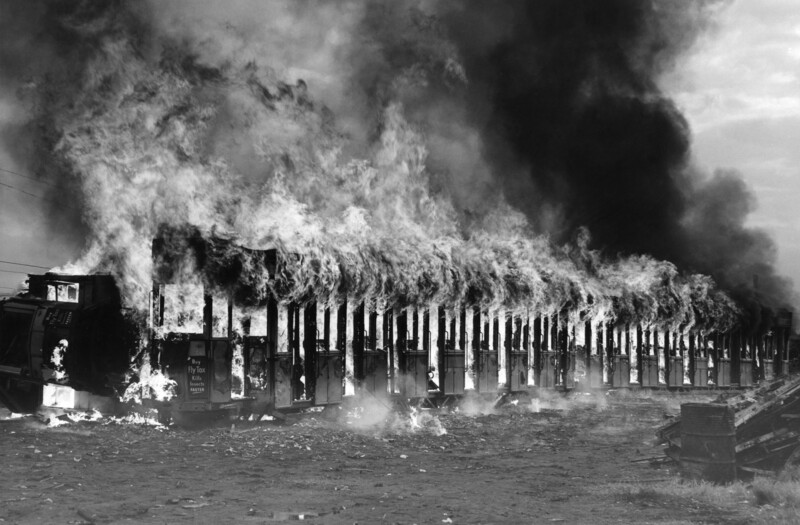 Burning of old trams at the Randwick workshops 1959, taken during the telecasting of the outside broadcast ‘Where old trams go’. Australian Broadcasting Corporation, Library Sales. ‘Watch your step!’ tram advertisement, c1955. King and Elizabeth St drawn on the first night that the first tram ran by J Flynn, 1879. Interior, (Hudson Brothers Engine, Clyde), Rushcutters Bay tram engine house by Albert James Perier, 1894. 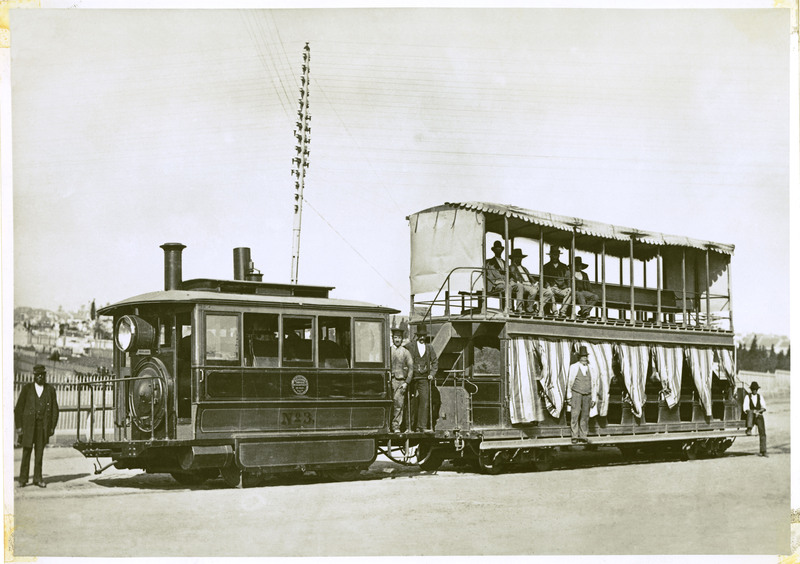 Steam tram showing motor and trailer car, photographer unknown, c1879. 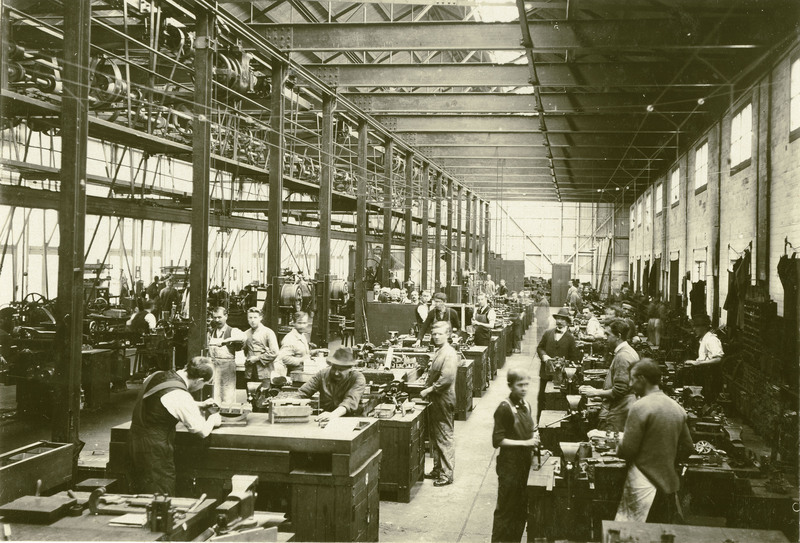 Tram construction workshop – Clyde Engineering Company, photographer unknown, 1901. 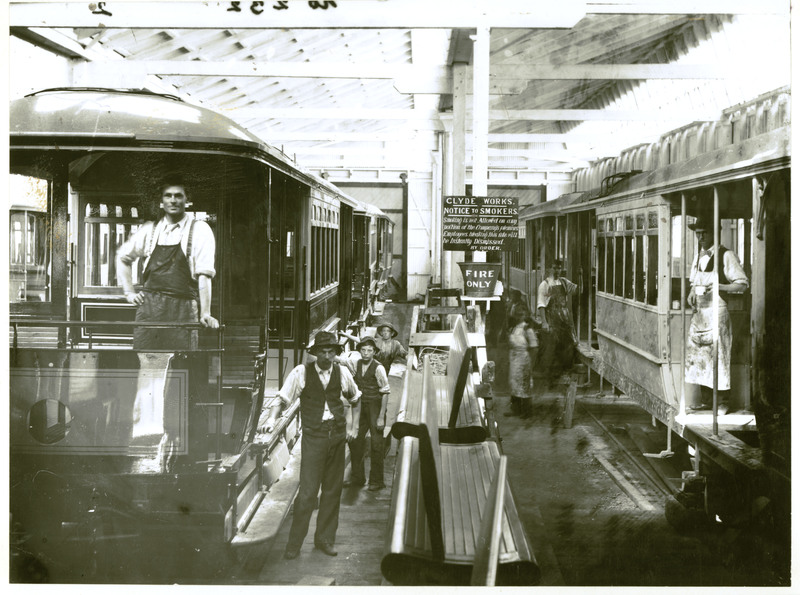 Randwick tram workshop, electrical fitting shop, photographer and date unknown. Recruitment poster for tram conductors, c1956. 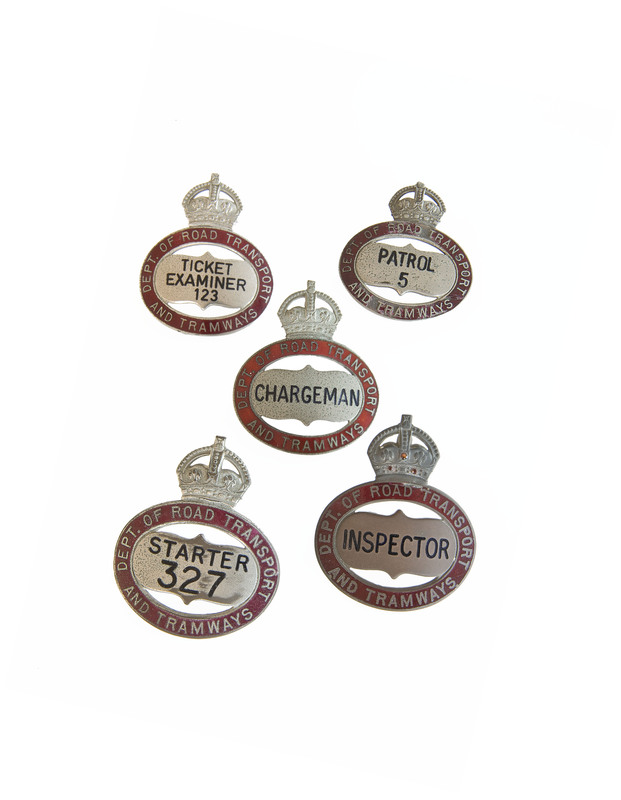 Tramway cap badges, issued 1939–61. Tram conductress, photographer unknown, c1942. Tramwaymen (taken for ‘Century’ newspaper) by Sam or Ted Hood, 1938. Tram in Loftus Street, photographer unknown, 1955.